All the cricket fans have been always looking inside the cricket world with the anxiousness to grab with some interesting record details. In each single match they do enter the stadium with the hope that they will get the chance to catch with some inspiring records made the cricket players. Especially when it comes to their favorite cricket players then they start praying without any delay. Keeping this fact in mind here we have the articles about the top 10 batsman with the highest scores in ODI! Here we will be giving tribute to all those top best batsman who have made the highest score in the ODI in their whole career! In this list we will be explaining with the list of the batsman who have made the most runs in one game. For the information of the readers we would like to mention that till today almost three double hundreds have been scored up right in ODI cricket and all the records have been made by the Indian batsmen. But this list comprise the names of some other batsman from rest of the countries teams! Let’s have a quick look! G Kristen from the South African cricket team played the superb innings score of 159 runs in which he played the smashing 16 four and 4 sixes that made him turn to stand at the 9th position in the top 10 batsman with the highest score in ODI. On the tenth rank we have the name of Australian player Shane Watson who scored the excellent innings of 185 runs. In this amazing innings he played almost 15 four and 5 sixes that made him appear to be one of the thrilling best batsman. In the list of the highest scores in ODI at the 8th spot we have the name of Sanath Jayasuriya! He is the Sri Lanka team player! This Sri Lankan all-rounder has made 189 run from almost 161 deliveries on 29 Oct 2000 just as against India. He is even mentioned in the list of 7th highest individual score who has decorated his career with 21 fours and 4 sixes. In the next we have the name of Martin Guptil who is one of the talented players from the New Zealand cricket team! He is the right handed batsman! He has another player who has so far score more than 150 runs in ODIs. In one of his matches he was 189 not out from 155 that put him in the ninth spot of top ten highest individual scores in ODI Cricket. He made this record by playing in the match against England on 2 Jun 2013. At the sixth spot we have the name of Charles Coventry who made the runs of 194 not out from 156 balls by Zimbabwean. In one of the matches against Bangladesh on 16 Aug 2009 he played the superb innings of 16 fours and 7 sixes. He made an equalizing of highest individual score with Saeed Anwar. This excellent Pakistan team player as the left handed batsman opener put 194 run to his name that was made from 146 balls against arch rival India on 21 May 1997. He ended up with his innings with the 5 sixes and 22 worth watching fours. He made the record that was equal to Charles Coventry but here we would like to mention that he made this record by grabbing 10 deliveries less then Charles Coventry to score the same figure. This list is surely incomplete if we don’t mention the name of Indian legend Sachin Tendulkar! He was the first player who achieve this landmark. He made the record score of 200 in his match against South Africa on 24 Feb 2010. This was the first ever double century and 4th highest individual score in ODI cricket. He did this amazing score in just 147 balls with the help of 25 fours and 3 sixes. On the next we have another Indian team player named as Rohit Sharma! This player made the superb score runs of 209 runs from just 158 as in his match against Australia on 2 Nov 2013. This was also the 3rd double hundred in the history of ODI cricket. In this complete score record he put the smashing 16 huge sixes and 12 boundaries in his 209 run innings. Chris Gayle from West Indies cricket team has smashed 215 runs at just over 147 ball in his match that was against Zimbabwe in ICC Cricket World Cup 2015. In this record timings he has smashed up over 16 sky high sixes. This record was also the 2nd highest individual score in the history of ICC Cricket World Cup. 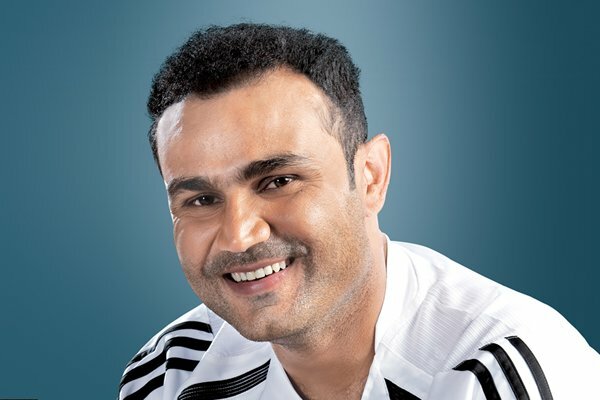 On the top rank we have yet another Indian cricket player named as Virender Sehwag who made the innings score of 219 with just 149 balls! He even scored the 2nd double century of ODI history that was against West Indies on 8 Dec 2011. Well 25 boundaries and 7 sixes were considered to be the part of that innings. Well this was the complete list of top 10 best batsman who made their career inspiring for their cricket fans by putting their names in the list of highest scores in the ODI! If you want to grab with some more cricket records then dont forget to catch our webpage! Go for it now!